I remember, around 1974 and still a fairly fresh teenage transplant to �the South,� observing there to be quite a self-congratulatory social club (of which I was not a member) of successful musicians, moneyed hoorays and fashionistas occupying the trendy upper-end London social tier. They drove Bentleys and Aston Martins, lived in very large houses in Surrey (or trendy apartments within a stone�s throw of Knightsbridge or Chelsea), belonged to the same charities, and met one another for lengthy alcohol-soaked lunches and dinners at London�s most tony restaurants and private clubs. A small subset of this crowd was a sorority of �group wives� who spent large amounts of their husbands� money shopping on the Kings Road and who effervesced at sharing a charity event with Princess Fergie or being invited to a garden party at McCartney�s mansion. As a young musician, this social environment formed much of the elite backdrop to the world of the successful �art� bands (Roxy, Genesis, Floyd, Yes, etc�) and I remember vividly�even as Roxy were at the top of their game and at the top of the charts�a strong sense of estrangement from this self-impressed and moneyed social clique. As na�ve as it may have been, I really was in it for the music. 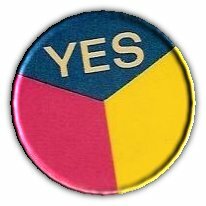 However, my Roxy association did allow me some lesser place in the club, and my talent gave rise to many requests for my musical participation, including one call, in 1974, to assess my interest in replacing the newly departed Rick Wakeman in Yes. 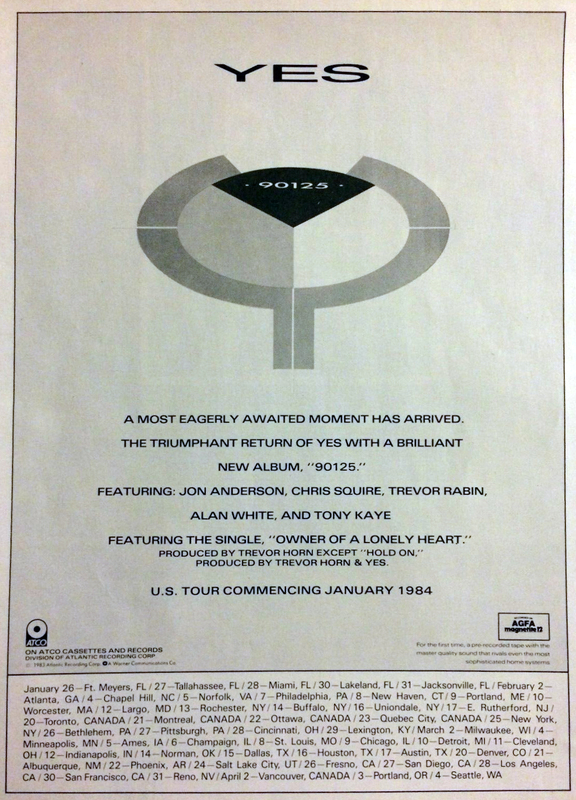 My impression of Yes was that they were a musically very impressive (and of course, extremely successful) band, but that they, too, were hugely impressed with their own status and were living on a lavishly grand scale. There also was that hippie/cosmic/druggie side that I knew would likely make it even harder for me to connect with them socially. 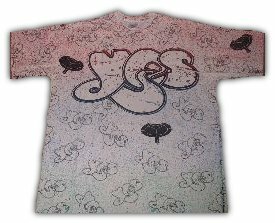 For several years, I had seen Chris Squire showily driving around town in his huge and very distinctive maroon Bentley like some aristocratic Lord, and it seemed obvious that, as dismissively as Roxy and their camarilla were treating me, the Yes milieu would be even more unfriendly to this Northern teenager � so I boldly conveyed my �lack of interest� in the Yes gig (in actual fact, I was somewhat excited by the concept of playing with Yes at their peak, but my instincts told me this would be an unwelcoming situation). Fast forward almost six years� I had extricated myself from that disturbingly self-important London scene completely, from EG Management and Sun Artists (Yes� management�who co-managed �UK�) and had happily relocated to the U.S., permanently removing myself from what I found to be an uncharitable world of supercilious people and expensive drug habits. Around the same time, I also disbanded U.K.�as part of the same purge. It was a fresh start, and the Green Album would be my solo venture as an independent free-spirit, surrounded by new friends�dare I say �all good people,� with similar values to mine. Well for some reason I put on the 90125 disc today and it brought my mind back to the tour which I loved so much I saw 2x. The first was close to the oppening at the Philadrlphia Spectrum,then again in Hershey Pa. I remember the music was great and being one of my first concerts-I compareed all future concerts to these. Ok -so I've now seen some 100-150 major shows and these are still my favorite. Rush does stay close, but 90125 in the Spectrum was still the best ever. 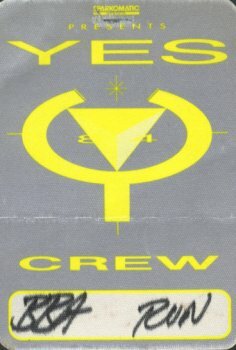 I just want to state for the record, that there WAS a tour program for the 90125 tour. 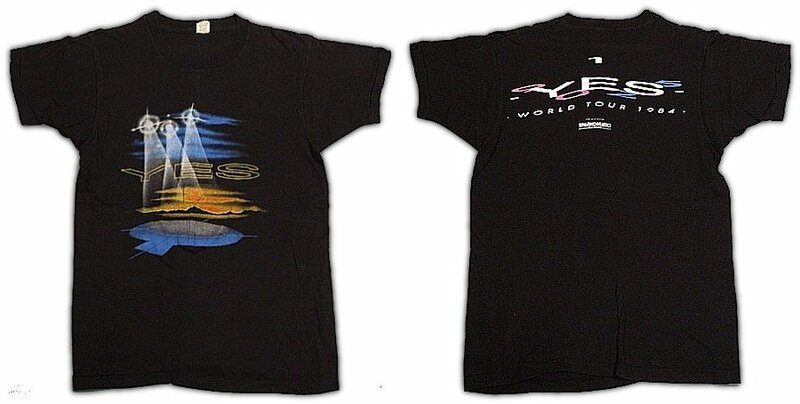 I purchased mine at Kansas City's Kemper Arena show on Monday, March 12, 1984. I am looking at it now. It is just as many other posts have described. I imagine it is possible that certain venues did not have them available (or only in very small quantities). I remember getting to the arena early so that my friend and I could make sure we were in our seats before showtime (no opening act...Bugs Bunny cartoons!) I made my t-shirt and program purchase as soon as we were inside. Subsequently, before and just after the show, I did have several people ask where I bought mine. Another post I've read here would support the theory that, while they did have the guides for sale at this show, they sold out rather quickly. I have seen this band four times. Tormato, the first the best,Reunion also in the round, 90U812 the absoloute worst and orchestral,all in Vancouver. Chris is the most talented, entertaining bassplayer in the biz but why does the band continue to allow him to dress himself, hey Chris how bout high top sneakers with springs on them to really go over the edge? Jon quit displacing excited first rowers with your groupie and never ever cross your arms again, if i can whisper to my wife next to me so as not to bother the people behind, and she can hear me no problem, than i will have to keep the money in my jeans for the dvd and rock out with my alltime favourite band at home.Never quit, keep it loud and tight, don,t tour without Rick,in the round is alchemy....next tour how bout starting with another bands cover, saaay hows about The Musical Box. NEW YORK - They were a cult group of the last decade, holding the official record for the act that played Madison Square Garden the most - 16 times. 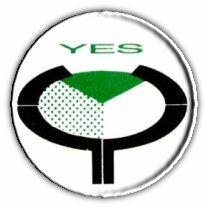 Today, the British rock group, Yes, after trying another name, has regrouped, taken back its old name and started the year with its biggest selling LP ever and its first hit single. 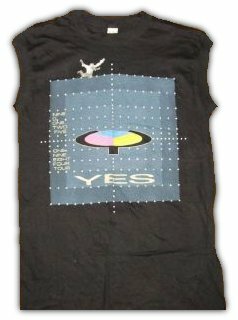 "Yes never actually had a hit single," says bassist Chris Squire, an original Yes member in 1968. "The single, 'Roundabout,' from the 'Fragile' album in the early 1970s has been constantly played on radio. But it never really was a very big hit in the charts." 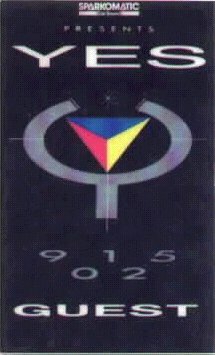 The group's Atco Records LP, "90125," is its first in three years. It was No. 11 and climbing on the best-selling record charts as 1984 began. The first single released from it, "Owner of a Lonely Heart," was No. 4 and climbing. "There was tension in some phases of making the album," Squire said. "We were all trying to pull the best out of each other to create the thing. I think probably getting back together is usually a panic situation." 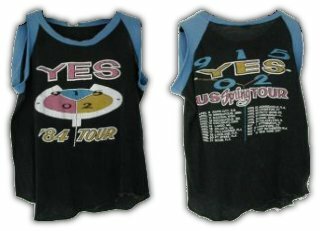 Yes will start a 50 or 60-show tour in Cleveland Feb 6 that will keep the British group in the United States for about three months. 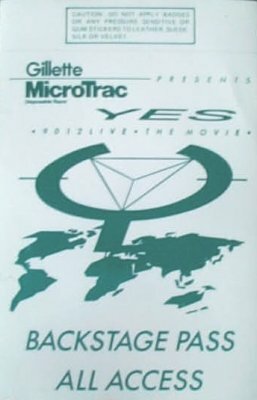 In the beginning, Yes was known for the classical influences in it rock. It's still there. "We always lean toward the more arty side of it," Squire says. 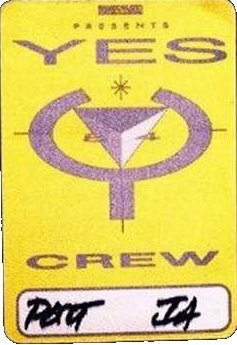 Yes started in 1968 with vocalist Jon Anderson, Squire, Keyboardist Tony Kaye, guitarist Peter Banks and drummer Bill Bruford. Rick Wakeman replaced Kaye in 1971, was replaced by Patrick Moraz in 1973. Wakeman replace Moraz in 1976. Anderson and Wakeman had left the group, and been replaced, by the time the LP, "Drama," was made in 1980. "That band was supposed to go on to make another album. There were internal problems," Squire said. "We decided we should just have a break." "Yes had been very heavily toured and we'd made at least a dozen albums in the 1970s. We were working all the time. I personally sensed a little bit of the edge was going on the creative level, toward the end of that time." Squire says he spent 1981 doing not much work, spending time with his family, which includes three daughters. "Alan White, the drummer, and I kind of stuck together at that time, " he said. They worked together writing music and recorded a Christmas single, "Run with the Fox." Eventually they had to decide if they should remain a double act or put a band back together. "We decided to get involved with other musicians again," Squire said. 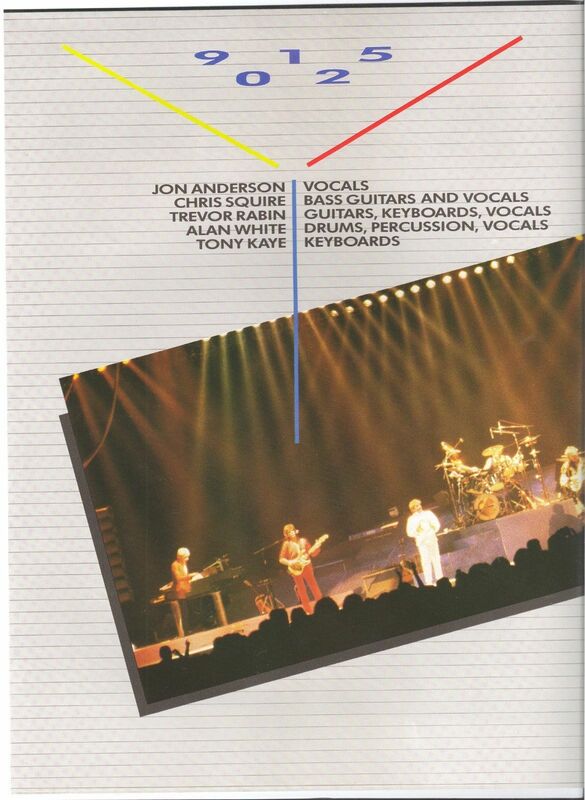 "We were introduced to Trevor Rabin, our new guitarist. We got on well with him. I got Tony Kaye, who was our original keyboard player, to come back. I saw there would be a very good compatible style between Trevor's and Tony's playing." They rehearsed, tried different songs and would up calling themselves Cinema. Music Television announced the group. "About two weeks later, we got a letter from a lawyer in San Francisco saying a group there was already called Cinema," Squire said. "Two weeks later, we got a letter like that from Iowa and then came one from Minneapolis. There was a fourth one, too, all threatening to sue." 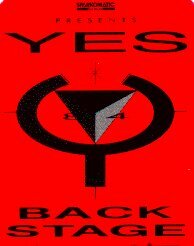 They went back to Yes. 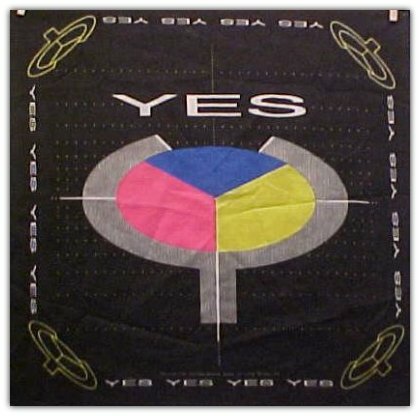 Trevor Horn, who had been the singer in the 1980 version of Yes, heard the group and wanted to do an album. "We though that would be great, too," Squire said. "We laid down tracks for the whole album. The intention was that Trevor Rain and myself would share lead vocals. I've sung harmonies for years and some lead vocals, but it was a daunting prospect." 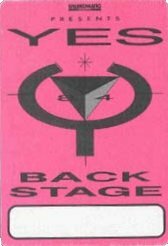 It still strikes me as odd that the band would have needed backstage help on the _90125_ material, I admit. It's been clarified that "Casey" played lead through one side of the channel, while Kaye played lead the other side and the centre zone. It's never been clarified why this was deemed necessary, and suspicions about Kaye's basic abilities by 1983 can't help but surface accordingly. "Leave It" was hardly live on this tour. I think Jon and Trevor's lead vocals were the only parts performed live. Everything else is backing tracks. Just compare any two bootlegs or KBFH shows, and you'll notice how similar the erformances are. I think the fact that Tony Kaye sang on that song in concert, and the fact that there are more than five vocal parts are sufficient evidence. 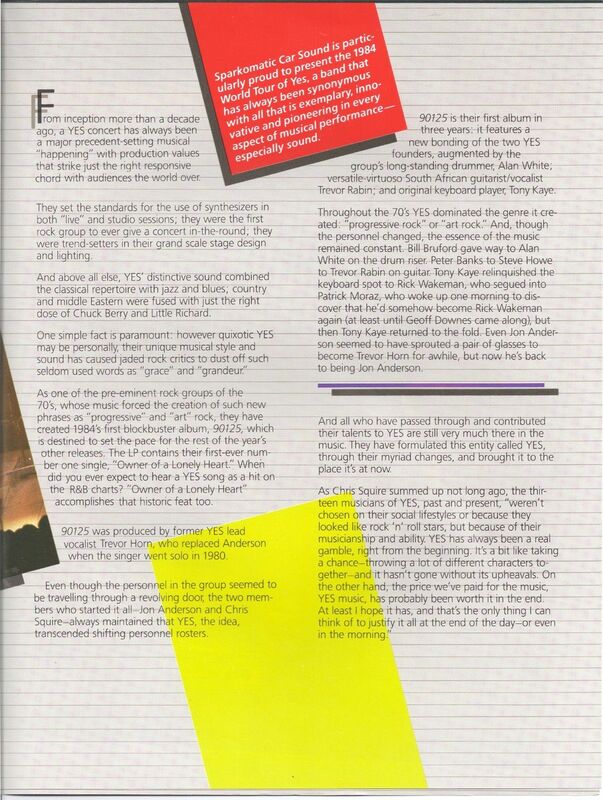 The 90125 tour DID have a tourbook (I saw two contradictory posts about it). I used to have it (it's lost now). 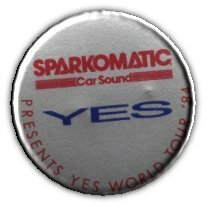 It wasn't much really, the usual photos + bios of the band members, some ads for the back catalogue and for Sparkomatic car sounds. 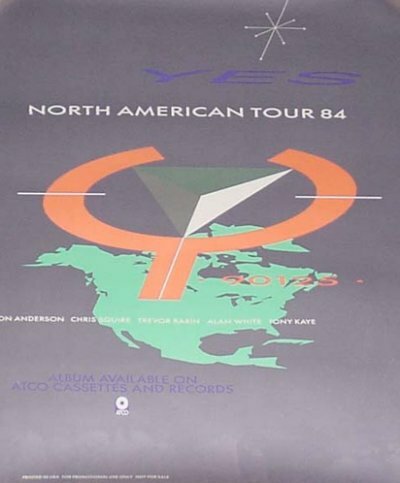 The cover was the same as the cover for the *9012live* LP. The pictures were clearly taken during the first leg of the tour. I guess it was available during the second leg of the tour. I bought mine in Montreal in August 1984. I didn't understand the comment about there being no tour programme for the 90125 tour, because I've got one. 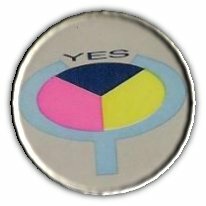 It contains some classic Yes rewriting of history (Tony left the group [in 1971] "for personal reasons, I don't properly remember now", Jon - "I never left Yes - I just took a leave of absence") and some downright inaccuracies (Alan joined after their third album). Maybe it wasn't ready for the American leg of the tour. I got it from the British tour. There's nothing much else apart from tour credits, a couple of sentences about each band member and the obligatory ads for the new album and the back catalogue. I can't remember what I paid for it but I'm sure I was ripped off! 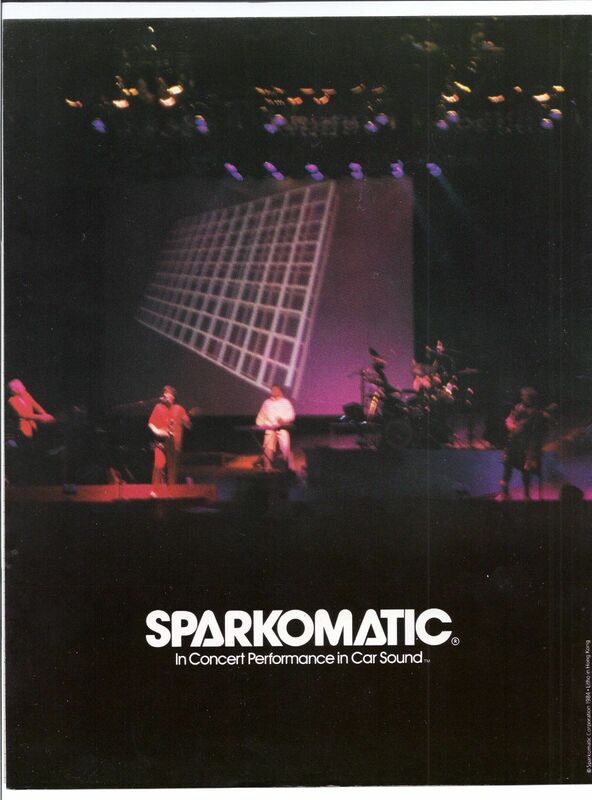 The 90125 tour didn't have a tour book -- Sparkomatic gave out quad-fold which on the first two pages had a photo and some Yes propaganda, and on the full four-page poster inside had a Sparkomatic ad. Shorter for Yes means they're finally getting them down to five or six minutes. "Well, not exactly three minutes," Kaye says. 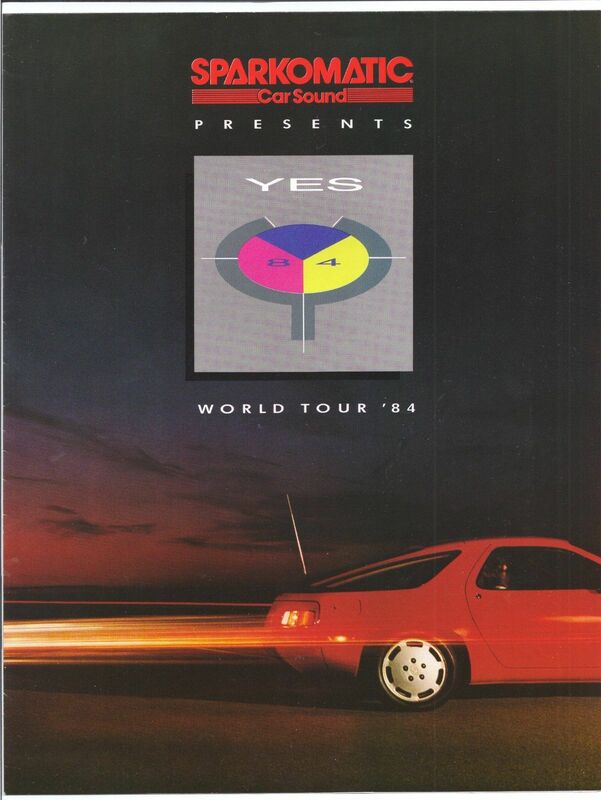 "We even extend 'Owner Of A Lonely Heart' onstage, in the Yes tradition." 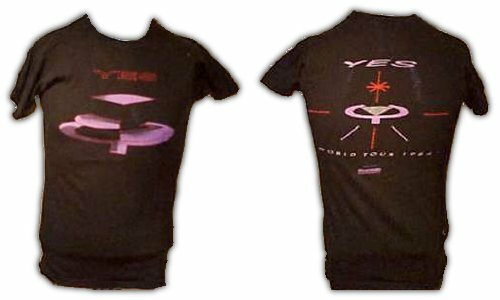 When Kaye was with the original Yes band in the late '60s, he relied mainly on one keyboard the organ. Today with Yes he works with one of the most sophisticated keyboard setups touring. "I use basically two systems," he says. "A lot of the Fairlight stuff that was done on the album is being played on a Yamaha DX-7. We have what we call the Oberheim system, and the Yamaha system. They are MIDI interfaced with a lot of other keyboards that are backstage. You only see two keyboards onstage, but they're driving a lot of different synthesizers. And a mixture of analog and digital synthesizers mixed together so that we've got quite a different sound, really. And I'm using Emulator, Kawai grand piano, and a Korg hammond, a Korg organ. The synthesizers are programmed so we've got multi-layered multi-tracked sounds. So it's given us a lot of scope, and we can put all kinds of different sounds in so that you don't get that really kind of boring synthesizer sound that doesn't really please me too much." If you listen closely to "Owner of a Lonely Heart", you may realize that what sounds like horn punches are actually vocalist Jon Anderson. "We put the voice through a kind of electronic gadget which makes it sound like a trumpet," says the singer. "The voice is a very capable instrument. It can do a lot of things. These days you can get the kind of effect that makes it sound like a double bass. You sing into it, and all of a sudden you don't know if it's you or the double bass. " Trevor Rabin plays a normal Fender Stratocaster with a DiMarzio pickup. "I also have a pedalboard built by Pete Cornish of London, who's excellent," Rabin says. "He has buffer amplifiers between each stage. It's mostly MXR equipment in there. Then I have a rack backstage with various effects an MXR reverb unit, delay unit and pitch transposer. That's basically it, and then that goes through a Marshall 50. That's what is miked up and that's what I monitor from. On Chris' side of the stage, his guitar monitor, we have a Marshall 100 which is slaved to where it's a double lead. One goes into my 50, one goes into his 100, and that goes to Chris' side of the stage. So he has a much cleaner sound. "Chris' pedalboard was made by another guy in London. And it's all programmable, so you can put fuzz, echo and flange on one pedal, go to the next pedal and something else is programmed on that. He goes through a Marshall 100, and I think we're still using Crowns to slave it through. The main thing is, the PA system we have crosses over at 30 cycles on the bass bins, so you've got all this power coming from the bass bins." Squier, now 35, is the only Yes member to appear on all fifteen of the group's albums, and his trebley, crackling bass sound has long been one of the group's trademark sounds. He is still using a Rickenbacker bass most of the time. He has recently begun playing a couple of numbers with a green custom-made bass that is as outrageous with its body design as the tattered, feathery full-length coat Squier wears during the show. According to Rabin, part of that rebirth has been acquiring a new audience "The other night Jon (Anderson) was telling me that in the old days the crowd was 99.9% guys, with long hair and beards. But now the audience is hipper. There's a whole new audience of young people who are hearing Yes for the first time. They've heard the new album and liked it. They liked 'Owner of a Lonely Heart' and the other dance tunes and they come to dance. So now we get some girls in the audience and some blacks too. I'm really excited about having blacks in the audience. Coming from South Africa, that means something special to me." 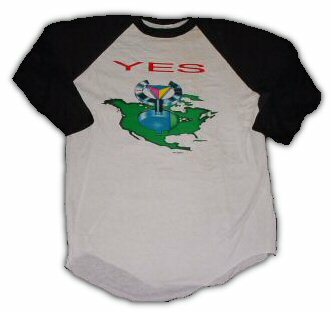 How about the old Yes fans who come to hear Yes oldies? "There's something for them too," Rabin insisted. "We play some of the old stuff but we bring a new sound and style to it. 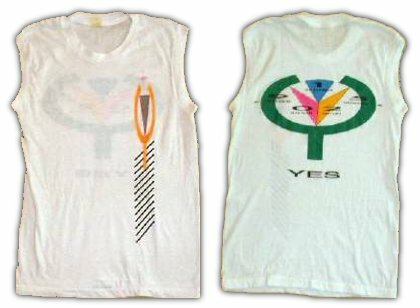 I think most of the old fans have accepted the fact that Yes isn't what it used to be. But I'm sure there are some who resent the changes. We can't really worry about those people. We hate to lose them but what can we do?" In March of 1984 this long overdue show went on the road. Aside from seeing three continents, three tour managers, one small army of Argentinian security, encountering numerous threats, one ticket office bombing, some minor bickering and moaning, one squadron of flying saucers over Denver, lots of vodka and surviving two international escapes, the tour went smoothly and without incident. In spite of, or perhaps as a result of all this, what ensued was a series of shows that delighted audiences everywhere. I saw the 90125 tour and was very depressed afterwards because the band was not tight at all.